After exhaustive research of miniature Jersey cattle and under careful scrutiny, the conclusive consensus among top breeders points to the original miniature Jersey bloodline Ralph Martin produced which is highly regarded as “the best of the best”. We aspire to carry on his legacy and produce miniature Jersey cattle adhering to the highest standards he set forth. 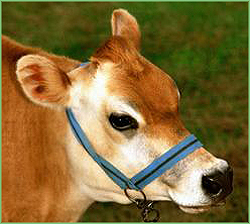 Some second rate miniature Jersey breeders in the country make claims based on their own limited scope of experience, but The Farm raised the bar, by acquiring the original miniature Jersey bloodline from Ralph Martin, expanding the possibilities and continually insisting on breeding the highest quality miniature Jersey cattle available. 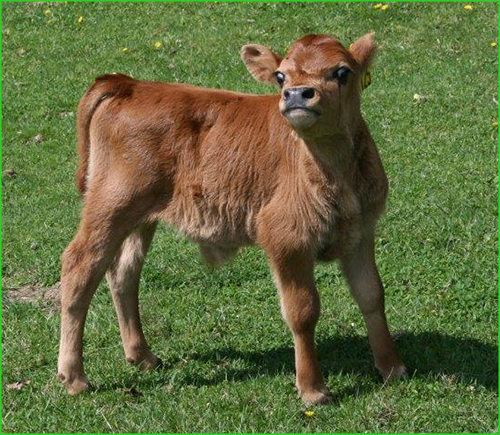 The quality and class of our miniature Jersey cattle and our facility is unmatched. We have clients that have traveled great distances just to have the superior miniature Jersey we offer at The Farm. We encourage you to visit us and find out for yourself. Many of our clients express their satisfaction in the production and manageability of their Miniature Jersey cattle, but first and foremost, The Farm Miniature Jerseys bring happiness and joy to our customers. Our Miniature Jerseys become family members. Bobby the bull is just two months old and on his way to being a leader among miniature Jersey bulls. He is an awesome representation of the premier miniature Jersey cattle we produce here at The Farm Miniature Jersey Cattle. If you are looking for some of the best miniature Jersey cattle in country, click here to see what we currently have for sale. 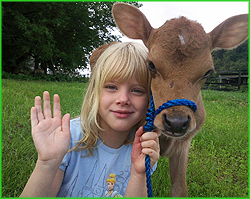 Our clients will travel over land AND sea from far, far away for our Miniature Jersey cattle. The Farm is a member of both the International Miniature Cattle Breeder’s Society and the American Miniature Jersey Association. Our cattle is also recorded with the International Miniature Cattle Breeds Registry, Inc.
What makes Miniature Jersey Cattle so popular and in demand? Miniature Jersey is a hardy breed capable of thriving in any climate. Miniature Jerseys are small (36″ to 40″ in height), gentle and good natured, making the breed very easy to manage and maintain. Miniature Jerseys require on average only a ½ acre of grass or about 10lbs of hay and a portion of grain every day. 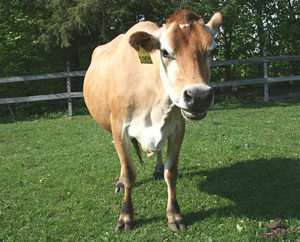 Miniature Jersey cows are highly productive, producing an average of 2 – 2.5 gallons of milk per day! 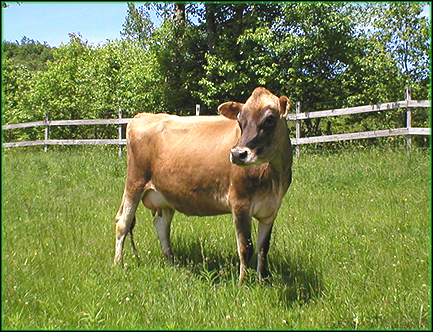 Miniature Jerseys typically calve without any problems and produce healthy offspring. 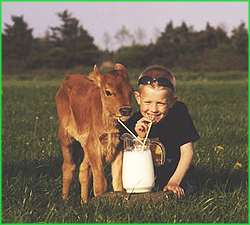 Miniature Jerseys are perfect for the part-time farmer, exotic investor or any lover of animals. Miniature Jerseys are just plain lovable and make great pets! Our miniature Jersey cattle receives the best care….routine veterinary checkups, regular dental and hoof maintenance, proper nutrition, vaccinations, and a haven here at The Farm for them to enjoy and flourish. Miniature Jersey cows and bulls are a great investment. They are not only a joy to have around because of their gentle nature and rarity, but they can produce as much as 4 gallons of milk a day. 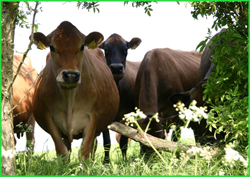 Perfect for the part-time farmer, exotic investor or any lover of animals who is willing to provide these beautiful cows the appropriate time, place and care. The Farm is entering another year of consistent success breeding miniature Jersey cattle that is like none other. Our miniature Jersey adheres to standards that most can’t even dream about. The Farm is driven on many levels to provide the best Miniatue Jersey in the nation. It’s integrity, our love of nature and animals, faimly, honor and respect that compels us to be the best. Our Miniature Jersey bulls are something special. These beauties produce some of the best Miniature Jersey cattle anywhere! 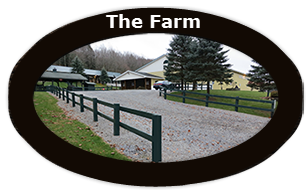 Pictures are worth a thousand words, but visiting The Farm will say it all!